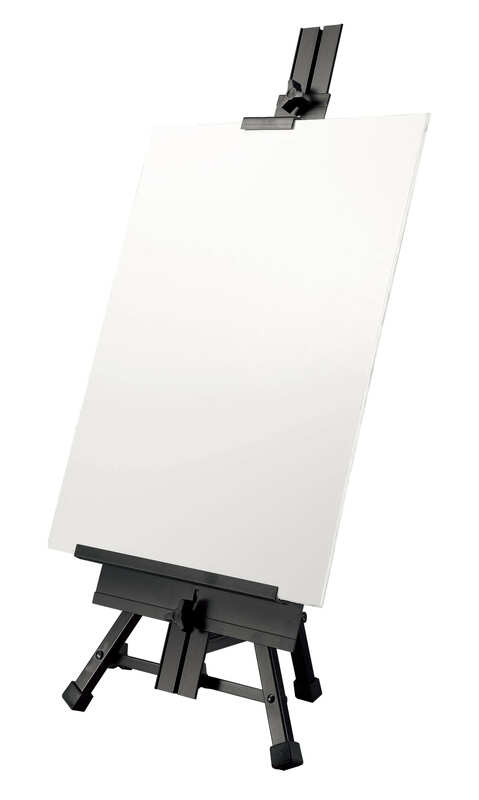 The Alvin Heritage Narvaez Aluminum Tabletop Easel is ideal for tabletop painting or display and classroom use, this durable yet lightweight aluminum easel is 32" tall and 14" wide at the floor and can accommodate canvases up to 24" high and stretcher bars up to 1½" thick. 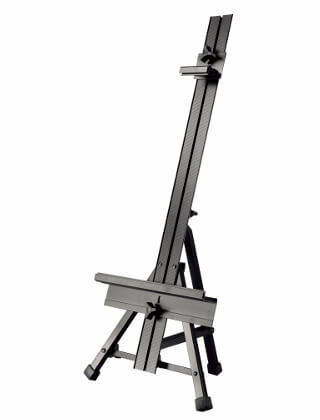 Adjustable top and bottom brackets for height adjustment, and an adjustable back leg allows for working angle positioning from 60° to 90°. 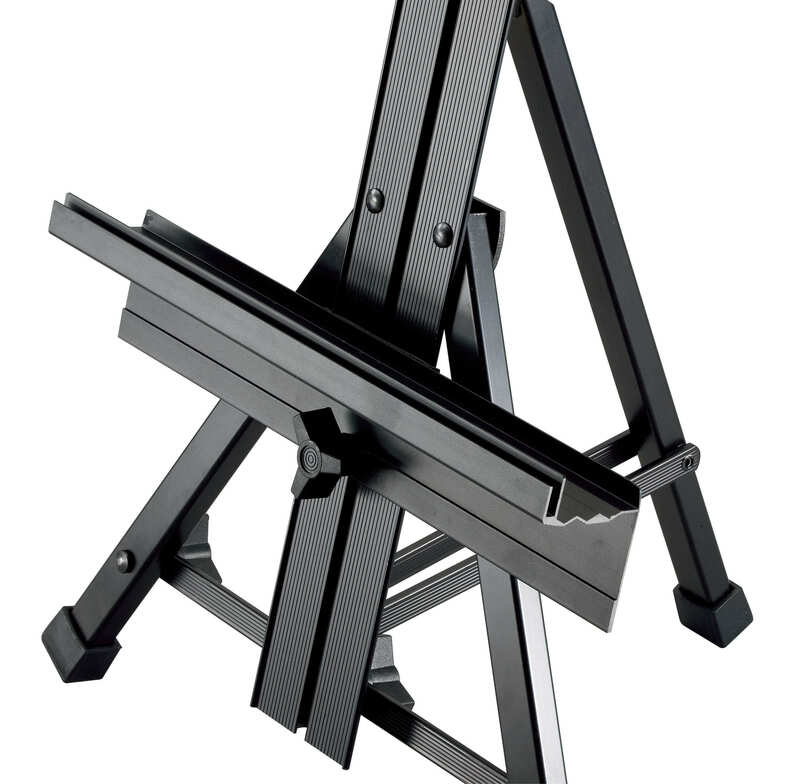 Some of the Alvin Heritage Narvaez Aluminum Tabletop Easel's additional features include 11¾" long canvas shelf, built-in panel slot, and non-skid rubber feet for a firm grip on all surfaces. Folds up to 30" x 4" x 4" for compact storage and easy transportation.